Takayama is is filled with interesting sights. It’s also the gateway to the hiking paradise of the Japan Alps and Shirakawa-go, a Unesco-listed thatch-roof village. Here is my carefully chosen list of attractions in and around Takayama. 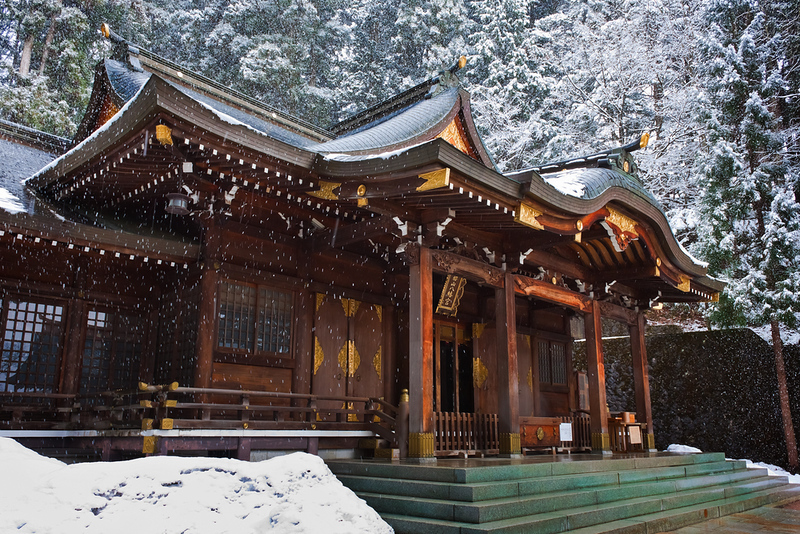 Takayama is the heart of Japan’s inland mountain culture. The city is built around the beautifully preserved Sanmachi Suji district. Nearby, you can visit some incredible old homes, check out some fine temples and shrines, and marvel at the superb festival floats used in the Takayama Matsuri festival. 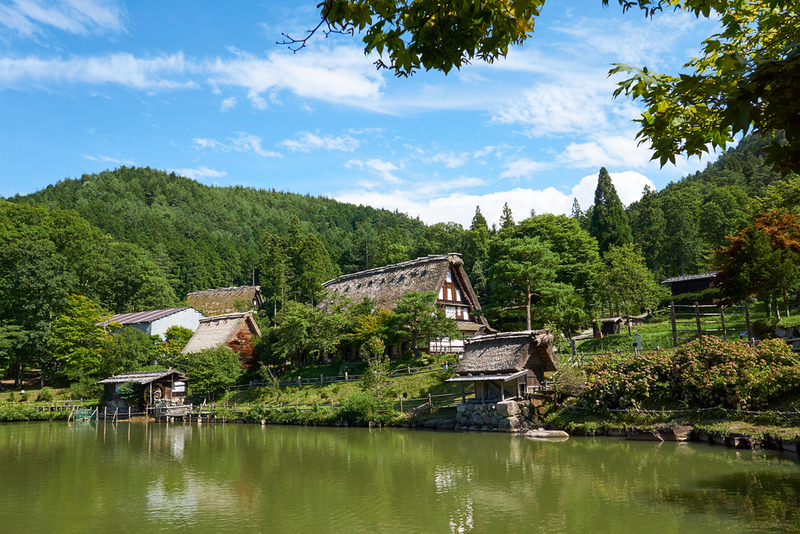 A short distance from the city center, you’ll find Hida no Sato, a collection of thatch-roof houses from central Japan. 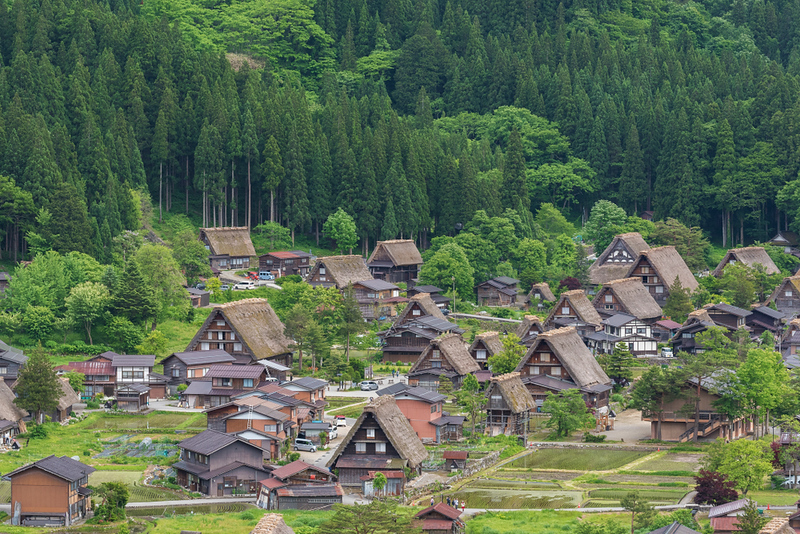 A short drive away is the Unesco World Heritage Site of Shirakawa-go, where you can see these houses in their original setting. And, best of all, not far to the east are the peaks of the Japan Alps. You can see the city attractions marked on our Takayama Google map. The Sanmachi Suji District consists of three streets in the heart of Takayama’s old town, which lies just to the east of the Miya-gawa River. 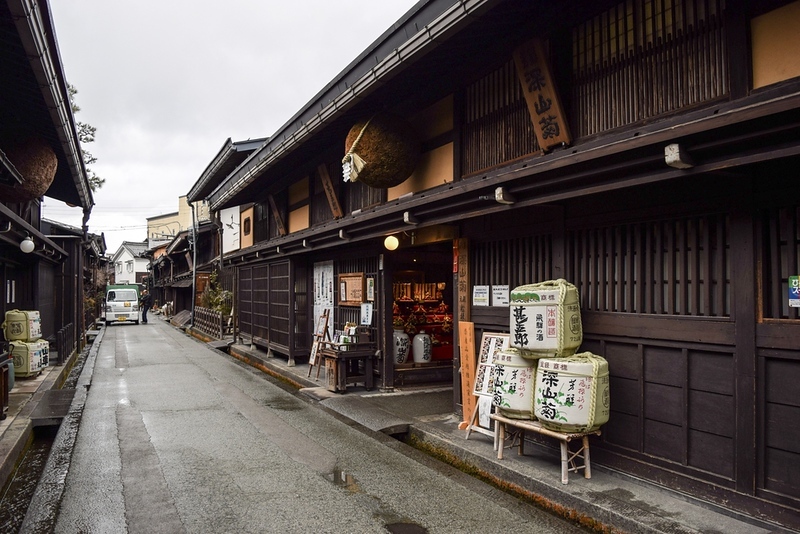 The streets are lined with traditional houses, shops, restaurants, sake breweries and cafes. 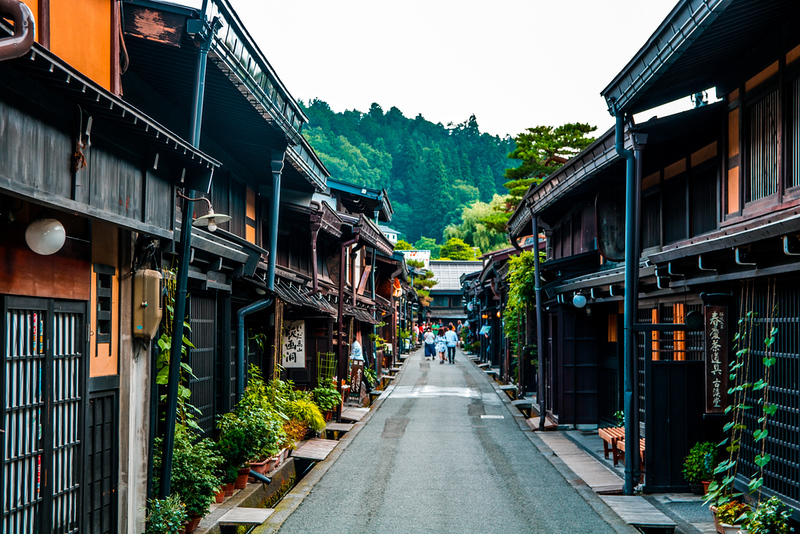 These three quaint streets are among the most picturesque in Japan, and if you mentally Photoshop out a few electrical wires and other tourists, you can imagine what Japan looked like around the turn of last century. If you want to get pictures without the crowds, you’ll have to go pretty early in the morning. Held annually in the spring on April 14 and 15 and in the autumn on October 9 and 10, the Takayama Matsuri festival is one of the great festivals of Japan. During the festival, 11 lavishly decorated floats are pulled through the town. Some of the floats have small stages on which intricate marionettes are made to dance by incredibly complicated arrangements of strings manipulated by expert puppeteers. Of course, most people are not lucky enough to visit when the festival is being held. 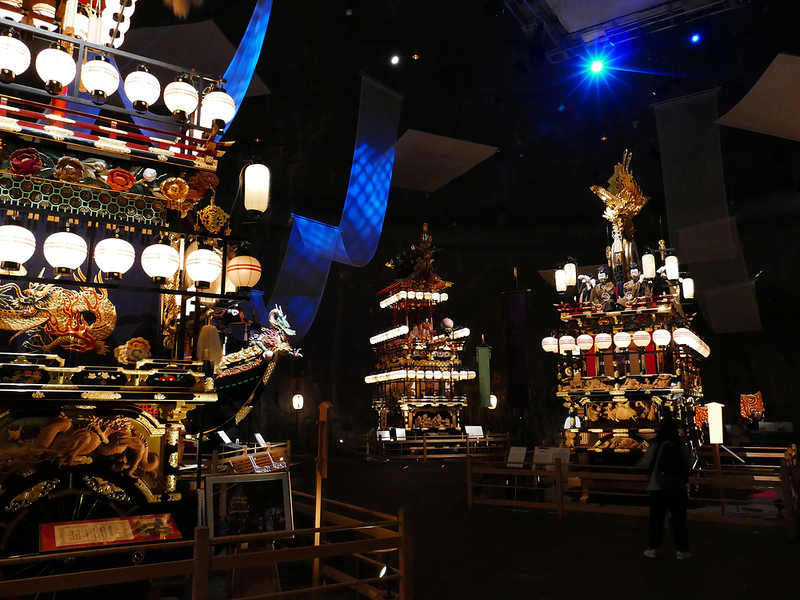 But, don’t despair: You can check out some of the floats and see videos of the festival at the fine Takayama Festival Floats Exhibition hall. This attraction is easily paired with the nearby Sakayama Hachimangu Shrine. This area of central Japan is famed for its superb carpentry traditions and the best place to see this is in the Yoshijima Heritage House. 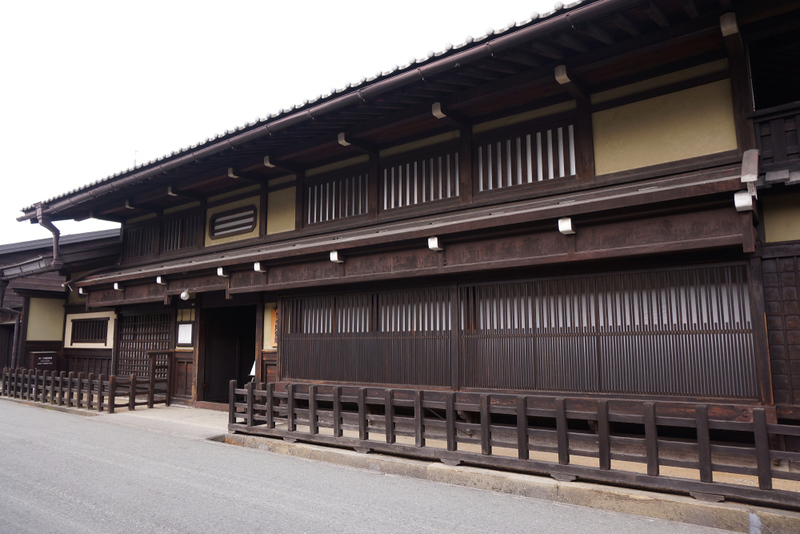 The house was built back in 1907 for a family of sake brewers and moneylenders. You can see the wealth of the family in the quality of the construction and the sheer size of the beams in the house. It would be almost impossible to find trees of sufficient size to make such a house today. After checking out the shop area in front, you remove your shoes and explore the rest of the house. Don’t miss the garden out back. About 2km west of Takayama Station is Hida no Sato, a collection of traditional thatch-roof houses taken from around central Japan and carefully reconstructed here. The houses are spread around lovely park with a central pond. You can enter many of the houses and marvel at the beams and construction techniques. Hida no Sato is too far from the station to walk. A taxi from the station will cost around Y1,100. Or, you can take the “Sarubobo” bus that leaves from in front of the station. 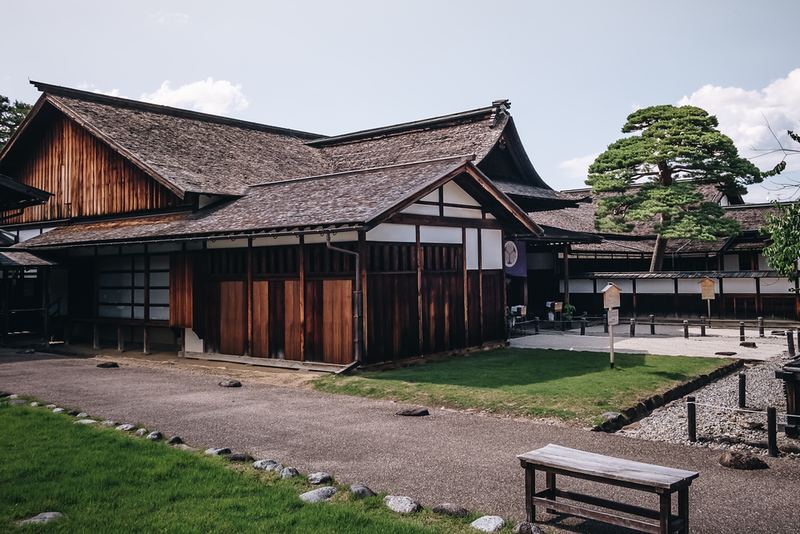 Located a short walk from Sanmachi Suji, Takayama Jinya served as the local administrative offices of the Tokugawa Shogunate that ruled Japan from 1600 to 1868. The compound itself dates back to 1615 and the present buildings date back to 1816. You can tour the rooms and learn about how business was conducted back in the day. Rice was paid as tax during the Tokugawa Period and you’ll note the all-important rice granary in the compound. Located on a hill in the northeast of the city, this lovely Shinto shrine is a nice place for a stroll or a contemplative break during your tour of Takayama. It’s very near the Festival Floats Hall and these two attractions make a fine combination. This is also near the start of the Higashiyama Walkway (see later entry on this page). 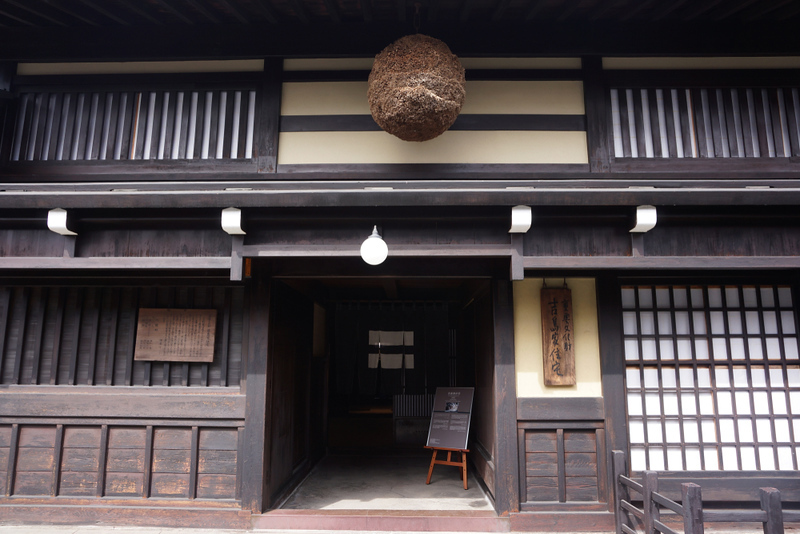 Not far from the Yoshijima Heritage House, you’ll find this small museum of local crafts located in another stunning old building. The building was built back in 1879 for a prosperous local merchant family. After checking out the shop area in front, remove your shoes and explore the house, including the displays of local crafts upstairs. After exploring the house, head out back where you will be served a rice cracker and a cup of green tea. Running from Sakurayama Hachimangu Shrine south along the base of the hills on the east side of town, this lovely walking course is a nice way to get some exercise and fresh air during your visit. 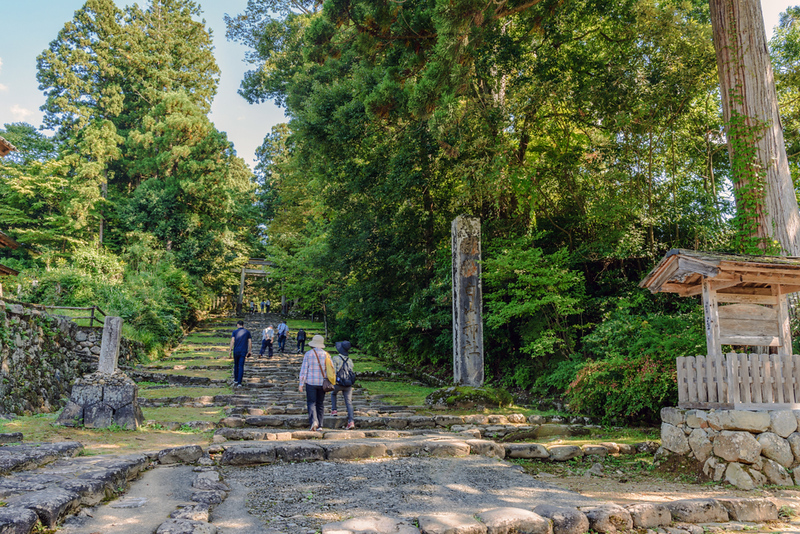 The path goes through the grounds of several small shrines and temples. If you climb the steps of Hakusan-jinja Shrine, you can catch a glimpse of the Japan Alps on a clear day. The path is marked with signs in English and Japanese. Located in the heart of the northern Japan Alps about 40km northeast of Takayama, Kamikochi is a stunning alpine sanctuary. This is the starting point for some of the best hikes in the Japan Alps, including climbs of Yara-ga-take and the peaks of the Hodaka Range. But, you don’t have to be a climber to enjoy this place. The valley itself is beautiful and there are excellent and mostly flat trails along the rivers and marshes of the area. There are several fine lodges where you can stay here. 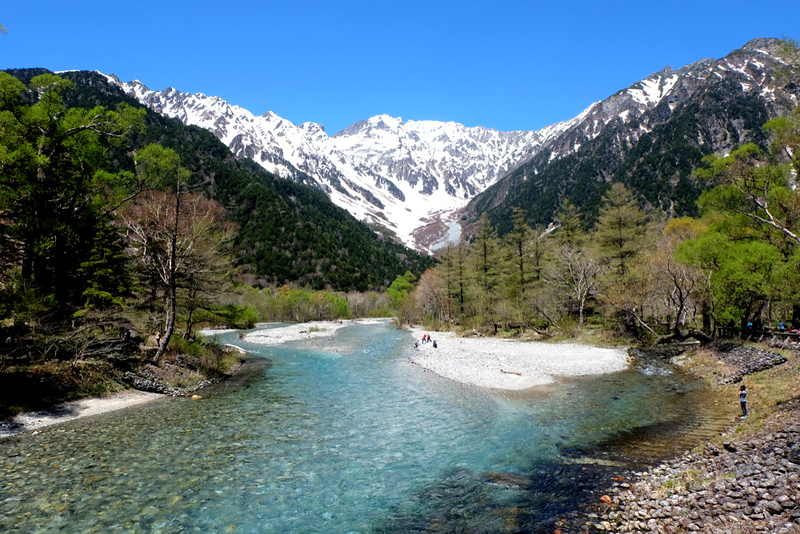 Kamikochi is usually open from April 25 until November 15, but early or late snow can change the dates. You can reach it by bus or rental car from Takayama, but note that you cannot enter by car during the summer months. For transport details, see the Getting Around Takayama page. Located 35 kilometers northwest of Takayama, Shirakawa-go is a village with over 100 traditional thatch-roof houses, known as gassho-zukuri in Japanese. Listed by Unesco as a World Heritage Site, these superb structures are well worth a trip from Takayama City. If you want, you can spend a night in one of the houses, several of which have been converted into B & Bs. Otherwise, you can easily make the trip by rental car or bus. For transport details, see the Getting Around Takayama page. If you want to get up into the Japan Alps but don’t feel like hiking for a couple of days, the Shinhotaka Ropeway (“ropeway” is how the Japanese say “cable car”) is your best bet. 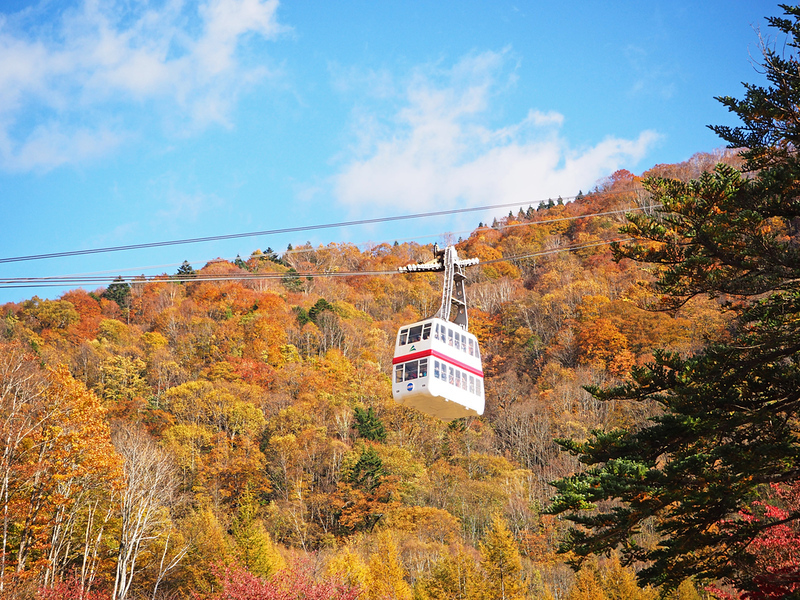 The ropeway starts at 1117m and takes you up to 2156m in 11 minutes. At the top, you can get a phenomenal view of the entire northern Japan Alps. There are a few onsen in the valley at the base of the ropeway, including a nice free one called Shinhodaka-no-yu, which is located beneath a bridge. For transport details, see the Getting Around Takayama page.